There are literally thousands of lenders out there willing to lend you money on a swimming pool, even if you have little or no equity. Finding them may take time. That’s why we put together this page for you. The best time to buy a swimming pool is now because as the economy betters, interest rates are going back up! Swimming pool financing is usually obtained by means of a home improvement loan. Loans for swimming pools are usually done as a home improvement loan because it allows for the payments to be spread over many years thereby reducing the monthly payment. Also, by having a swimming pool loan made as a home improvement loan, the interest rate is usually a deductible expense. Swimming pool loans can be done in a short period of time if obtained by a line of credit for pool construction or as a second mortgage loan for pool construction. These days, it is increasingly difficult to obtain financing for swimming pools and other home improvements. If you already have a first mortgage and second mortgage on your home you may find it impossible to get a traditional swimming pool loan. No equity loans for pools are no longer common. 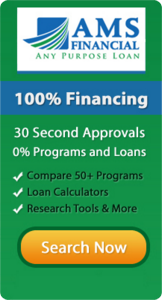 Some people these days are finding the best financing they can get is through traditional unsecured financing through banks or credit card companies. If you have a good credit score and are able to document your income, you’ll have a better chance at obtaining financing for swimming pools. Here you can get pre-approval for swimming pool financing that might work for you: use a line of credit from a credit card. Our special thanks to all the local banks. The above merchant names, designs, and related marks are registered trademarks of their respective owners.